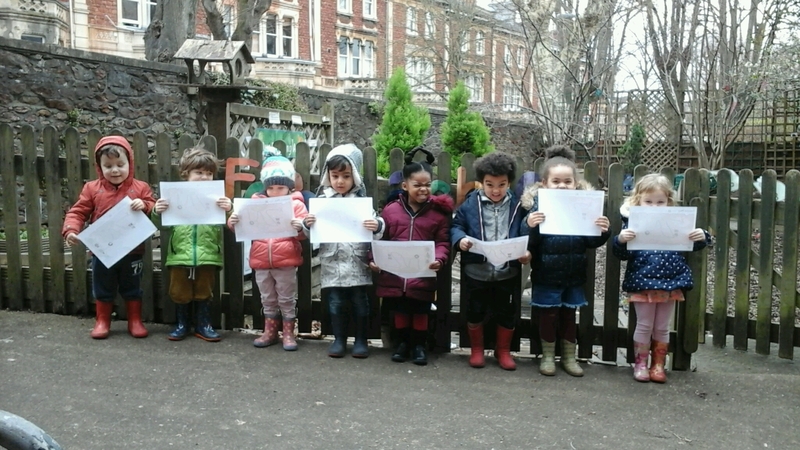 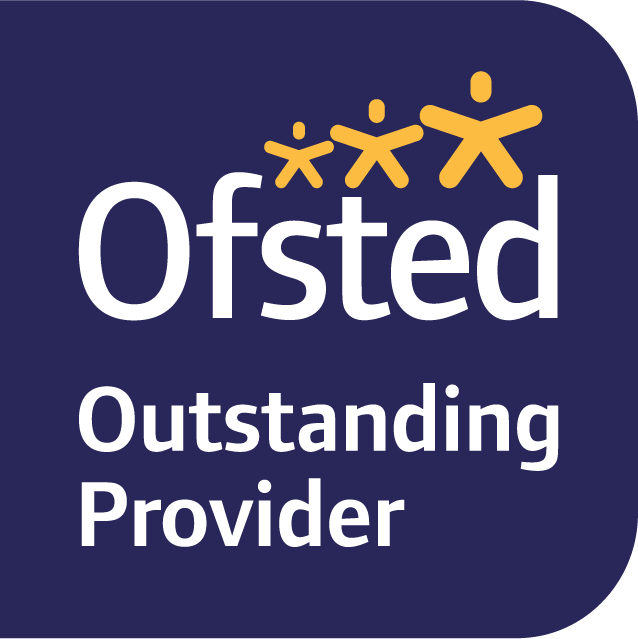 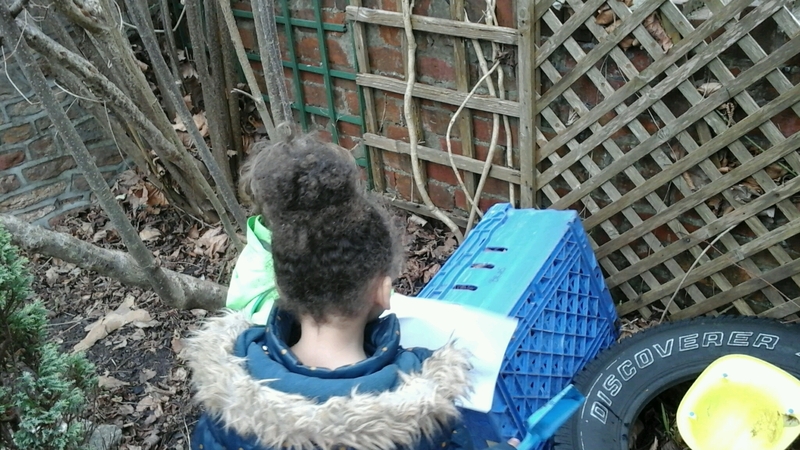 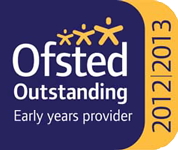 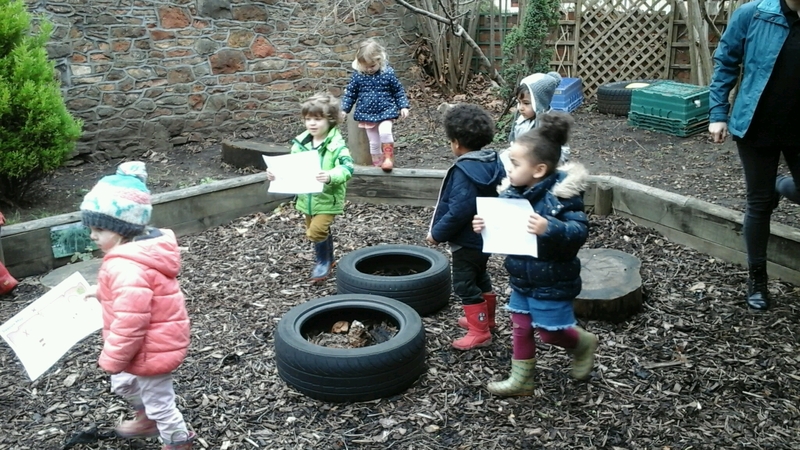 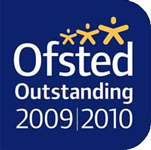 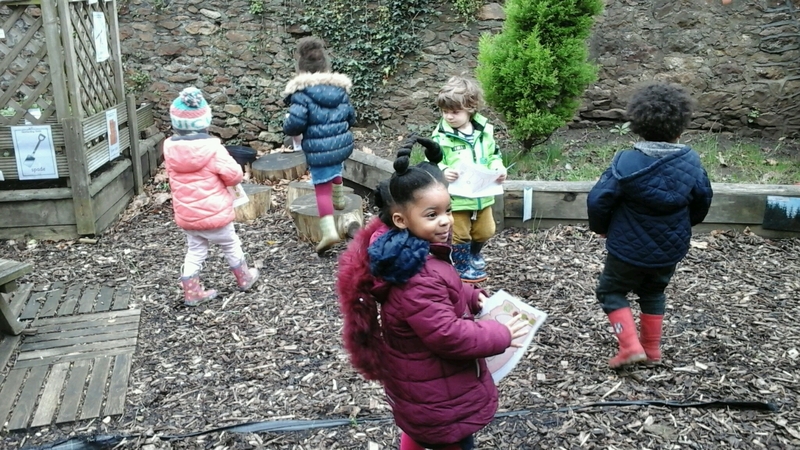 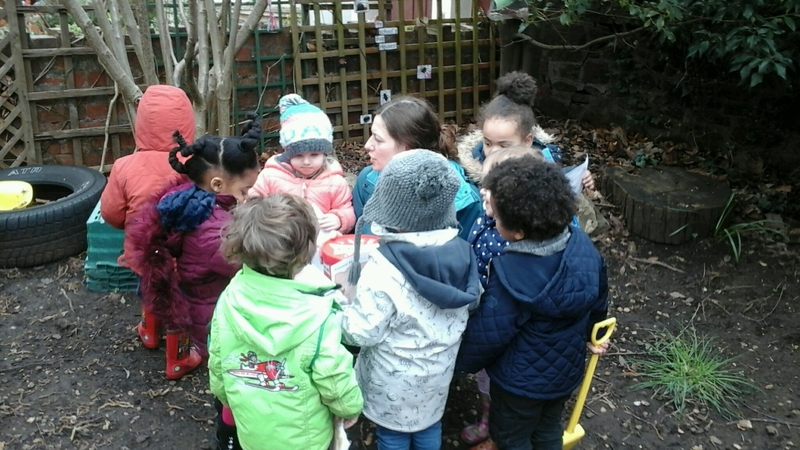 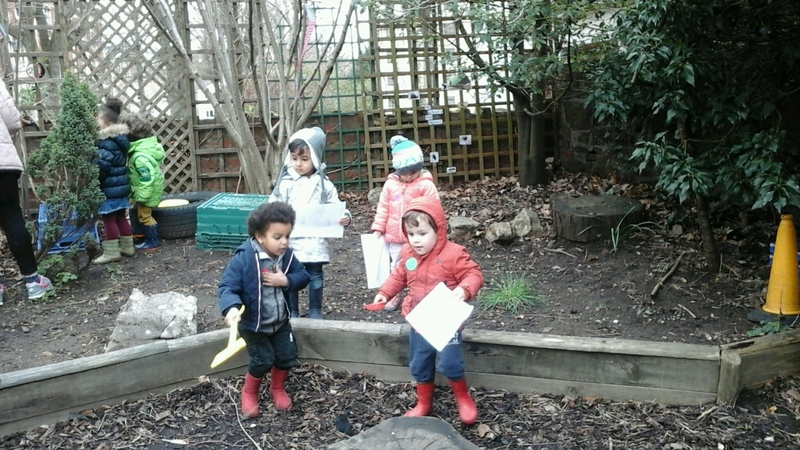 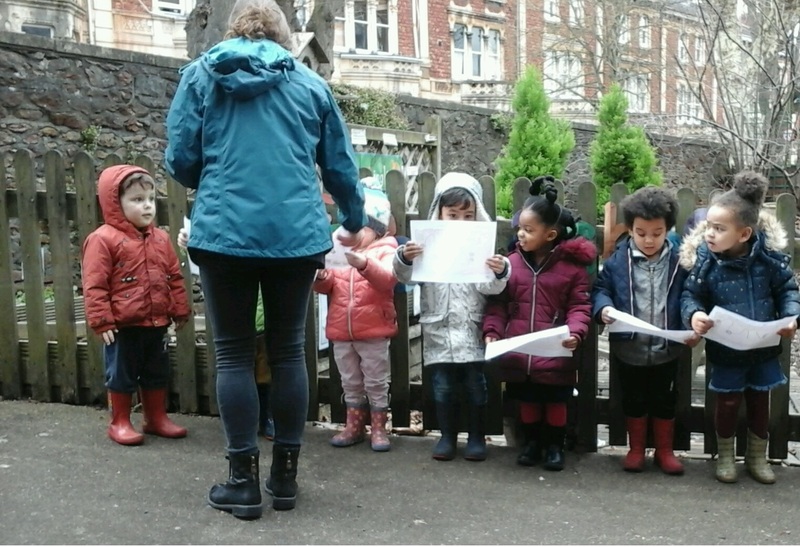 The pre-schoolers from Oakfield Road were looking for treasure in their lovely back garden! 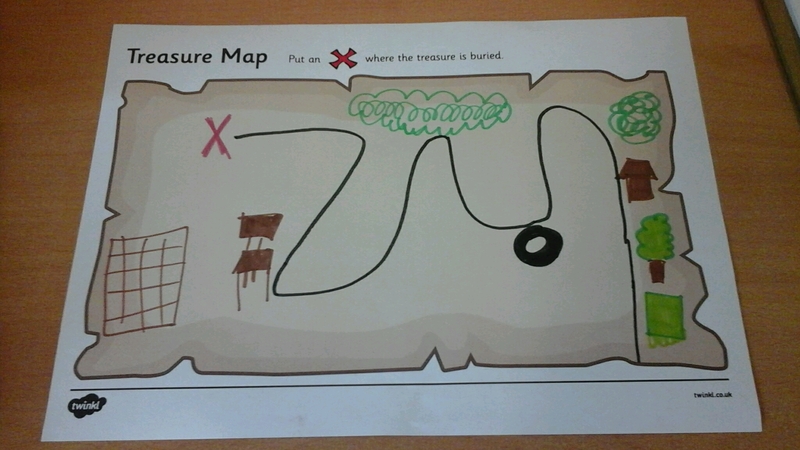 Everyone had a map and they were working together to find the hidden chest! 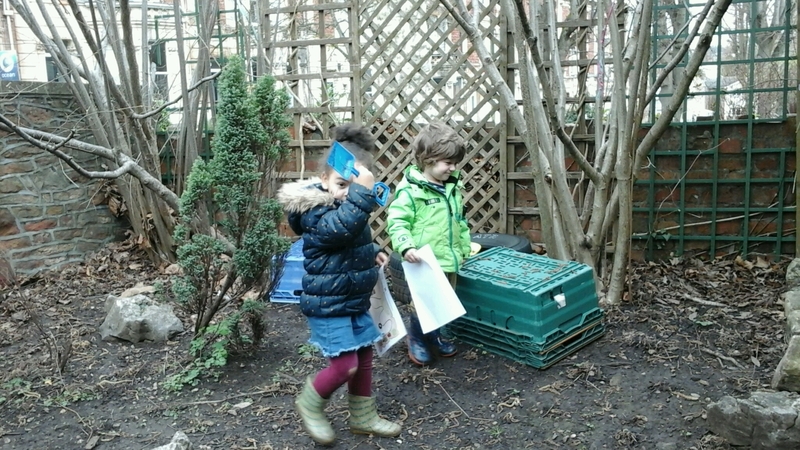 At the end they found it and they were very excited!